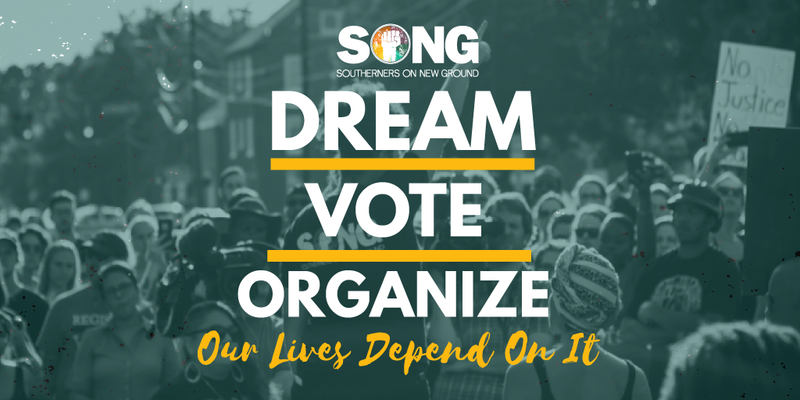 Before the 2016 General Election, SONG members, comrades and staff collectively created the message of ‘Dream, Vote, Organize: Our Lives Depend On It’. Across the South, members placed thousands of yard signs in their communities with this mandate. Many of the signs remain, slightly tattered but deeply neon and deeply queer. In the years since families, chapters, sister organizations and members have done just that. The repression continues to grow along with our resistance. Our morale at times is questioned. From our bail out actions to the national movement to #EndMoneyBail to widening our leadership development pipeline to investing in Member Initiated Projects and supporting the unlimited dreaming and scheming of our people, we have moved mountains together. This year, we made the decision to use electoral tools to find our people and advance our demand to End Money Bail. 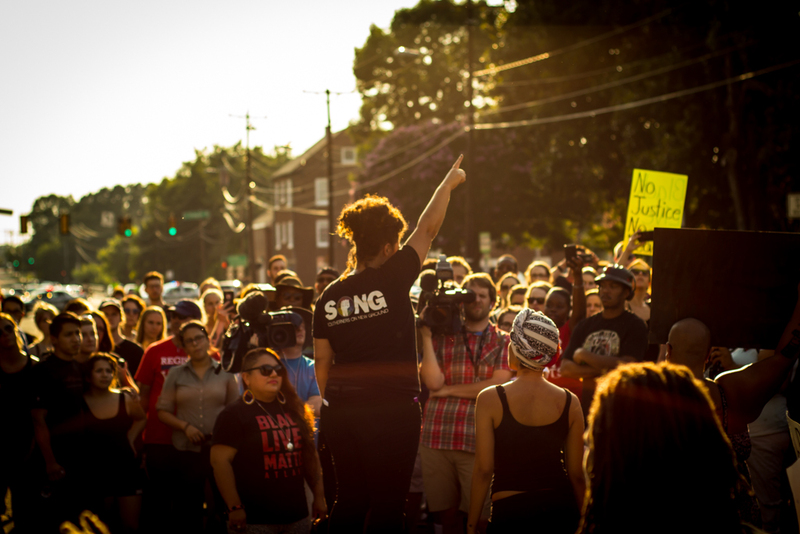 In the face of ongoing killings and abuse of Black and brown folks by the State, mayoral scandals and fake bail reform, our Nashville chapter has been working around the clock to pass a Community Oversight Board amendment which would empower a committee to be able to to assess, improve or change other local policies related to criminal justice. 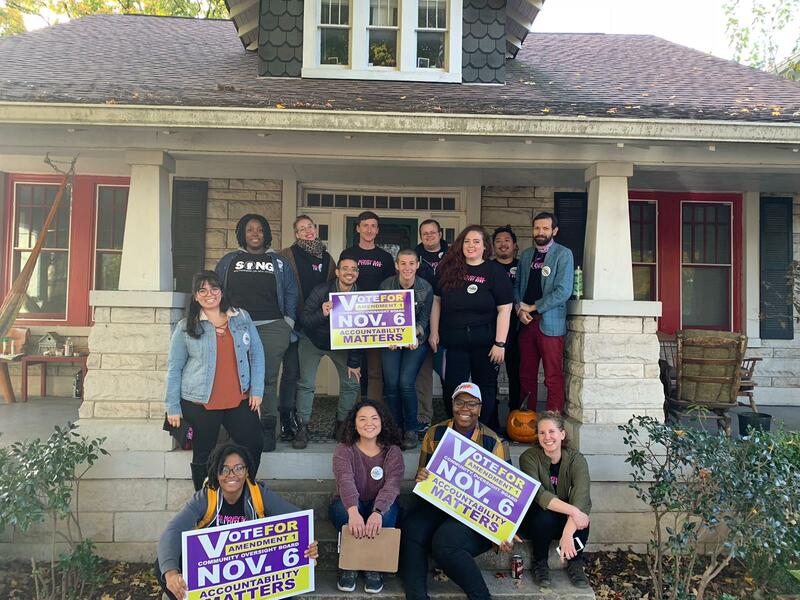 SONG Nashville have been ripping and running to collect and verify 8,000 petition signatures, knock 2,000 doors and train 100 canvassing volunteers. In Georgia and Texas early youth vote is up 500% as well as nearing historic numbers in Tennessee. In these times, we struggle daily to fight cynicism, despair, infighting and cliquishness. We understand the electoral process comes with cynicism and the memory of broken promises, hollow words and so much state sanctioned terror. We are people, not platforms. We demand leaders at all levels of society to be humble, brave and accountable for the people’s agenda. We believe in moving a vision that is not solely tied to policy wins. If we only measured success by policy wins, we would have shut down our organizing shop long ago. Our power and faith lies in our people, not candidates. Criminal Justice reform is on the ballot. Invest/Divest is on the ballot. Bail is on the ballot. ICE is on the ballot. Jail population is on the ballot. Decriminalization is on the ballot.